As a parent, are you wondering if you should be doing anything about teaching writing to your young child? 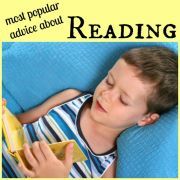 If so, read on for some practical advice on how you can help your child start to develop this essential literacy skill. Children learn to talk by listening to their parents talking and eventually copying what they hear. We help our children by speaking slowly and clearly to them and repeating ourselves often. This seems natural to us, and although we are delighted when we hear those first words, we aren’t really surprised. We seem to instinctively accept that this is how children learn to talk. What about when it comes to teaching writing? Can we apply some of the same principles that we naturally applied when ‘teaching’ our child to talk. The answer is yes. By surrounding your child with writing materials and giving her every opportunity to see you write, she will eventually try to copy you. At first her writing will just be made up of drawings and scribbles, but eventually, perhaps with a little help from you, she will start to create letters. She may then start to match the sounds she hears with the letters she writes, writing words through invented spelling, eg ‘wun’ rather then ‘one’. 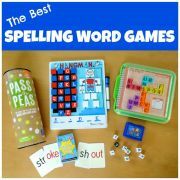 Encourage her efforts and allow her to explore different spellings at this stage. Later, with the right support from her teachers and from you, she will start to learn to write through conventional spelling. Below are some ideas for ways in which parents can help in these early stages of teaching writing. 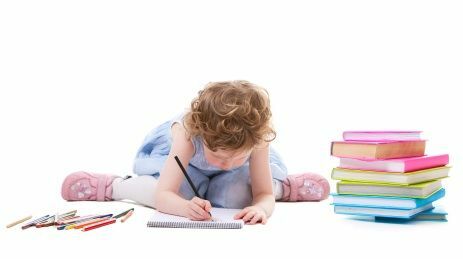 This section lists simple things you can do around the house to help encourage your child to write. 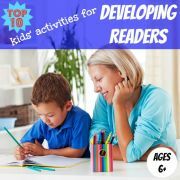 This includes providing varied writing equipment to motivate your child to write and also being an active role model whom your child is inspired to emulate. Writing Pots Fill small containers with different types of writing instruments such as coloured pencils, markers, crayons, glitter markers, felt-tip pens etc. Place these containers, together with some pieces of paper, in various places around the house where you are happy for your child to write and draw eg kitchen, dining room, her bedroom, play room. Writing Tools Provide different types of writing materials to vary the writing experience for your child eg chalkboard and chalk, dry-erase board and markers, paints and paint brushes, glitter glue pens etc. 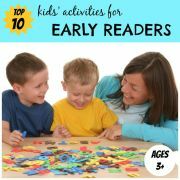 Paper, Paper, Paper Provide your child with different sorts of paper in easy reach. Look for pads of paper of different shapes, textures and colours and with different motives on. Cut up old greeting cards and let your child write on the back. Be a Role Model Explain what you are doing and encourage your child to watch you as you write shopping lists, to-do lists, birthday cards, reminder notes etc. Ask your child to write a list or note of her own at the same time. Write Cards Encourage your child to write as much as possible of the birthday cards or thank you cards which you are sending on her behalf. Message Board Hang a message board in the kitchen. Leave notes there for your child and help her to write notes of her own to affix to the board. Here are some ideas of fun activities for teaching writing which you can do with your child. Sandy Letters Spread sand in a thin layer on a tray or baking sheet. Choose a letter and “write” the letter you have chosen clearly in the air using your index finger so your child can see how to write it. Then ask her to write the letter in the sand using her index finger. Letter Picture Write letters, simple shapes and squiggly lines on small pieces of card and put them all in a bag. Ask your child to pick out one card and copy whatever is on it onto a piece of paper. Continue with the other cards, asking your child to copy what is on them wherever she likes on the paper to create a sort of picture. Encourage her to use different colours for different letters or shapes. When the picture is finished, ask her to write her name on the top of it. Picture of the Day While your child is watching you, write at the top of a piece of paper, “Tomorrow morning after I wake up, I will...”. Ask your child to draw a picture which finishes the sentence. Then help her to write the words which describe the picture at the bottom of the page. Send a Message Cut a slot in the top of a shoebox and decorate it as a mailbox. Write a short note to your child, perhaps including a picture that helps illustrate the note. Put the note in an envelope and write your child’s name on the envelope. Post it in the mailbox. Help your child to write a letter back to you, illustrating it if she wishes. Ask her to put it in an envelope with your name on the front and post it in the mailbox. She can also write other letters to family and friends. Word Page In this activity for teaching writing write a word which is special to your child on the top of a piece of paper. Draw a few lines below the word and ask your child to copy the word as many times as she can on the lines. Then ask your child to illustrate the word underneath. She could, for example, draw a picture, stick and paste images cut from a magazine, or stick in a photo. Keep the word page in a binder and add other words to it over time. You could also try using pre-prepared word tracing sheets. 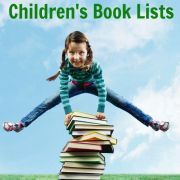 Make a Book A great way of stimulating your child’s interest in writing is to help her to make a book. 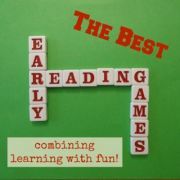 You can start with simple books with a picture and only one or two words on each page. Then, as her writing skills develop, make books which include more words. You can find more ideas for teaching writing while making books here. Write a Poem Encourage your child to write poems. Writing poems provides a means for them to learn to express themselves more eloquently and helps to improve their use of vocabulary. Rather than presenting them with a blank piece of paper help them to get started by providing them with a defined structure to follow or by giving them tools to help generate words and phrases to include in their poem as I did with my children when writing summer poems.